The United States might officially be a single entity, but one could make the argument the divisions between its various subcultures are so pronounced the country is in fact composed from a few smaller countries roughly-slapped together. The difference in the people's mentalities and customs are quite noticeable from coast to coast and border to border, and I believe it's fair to say the Deep South is certainly one of more interesting microcosms on this continent. Seeped in cruel and violent history, it's a place where traditions of old mix with progressive ideas, one where glamour and blood appeared in equal measure. 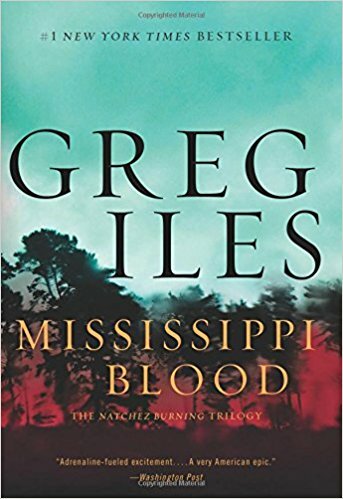 In the final chapter of his Natchez Burning trilogy titled Mississippi Blood, Greg Iles takes us back there once again as we follow Penn Cage on what will perhaps be the most trying and critical time of his life. As the story takes off, our protagonist is in pretty bad shape as the world around him crumbles after his father, Tom Cage, has been charged with the murder of a former lover. What's worse, he has no intention of letting his own son – mayor of the town and an experienced prosecutor – into the truth behind the case. Left to his own devices, Penn seeks out the help of Serenity Butler, a famous young author who happens to be there to write the story of Tom's case. They soon discover that the whole ordeal goes back decades, involving an affair, an illicit son, a dangerous subdivision of the KKK known as the Double Eagles, and secrets which seemingly everyone has been desperately trying to keep buried deep into forgetfulness. I would certainly recommend reading the previous two books in the trilogy if you haven't yet, merely for their quality if nothing else. However, if you want to start off with the third book straight away, then you'll be glad to know that it's entirely possible to pick it up and follow along without much confusion, if any. As is always the case in these scenarios, you will miss out on a few things, most notably any previous character development, but on the whole it's safe to say your enjoyment won't be compromised. While some authors out there have a tendency to develop a specific formula and stick to it as a surefire paycheque, Greg Iles has certainly opted against that route. Each one of his stories is intelligent, follows its own path and is extremely well-researched. His depiction of the Deep South and its history are quite far from painting a romantic and sterilized picture. He prefers to talk about the problems most people would rather forget, such as slavery, racism, inequality, the KKK and all the conflicts that come with a combination of those elements. He doesn't apologize for anyone's actions or try to rationalize the suffering they have inflicted on others, presenting history in an unapologetic manner in all of its beauty and horror; there is a true passion in the insight he seeks to share with us. We certainly learn a lot from his expose and the 150 years or so of history he takes us through, but that's not where the mastery ends. 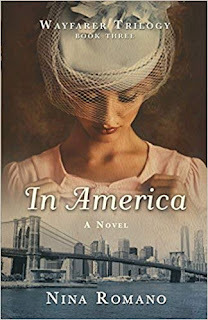 Iles is extremely adept at using those historical elements in his own story and weaving them seamlessly into the plot. As a result, this makes the story feel much more impactful and far-reaching than it could have been otherwise as an isolated and self-contained tale of fiction. Because of how Iles chose to implement the historical element we never get expositions that tarry on or long paragraphs that bore us out of our minds; the information we are fed is intelligently and even strategically placed throughout the pages. Moving on from everything the author has to teach us about Deep South history, we still have a captivating court case involving a long-spanning mystery with more twists and turns than I can count. As Penn and Serenity probe deeper and deeper into the past we are treated with so many satisfying revelations about the town of Natchez and the people living in it throughout the decades. The prospect of uncovering more and more secrets is as exciting as it ever was for we know the next one might shape the story in irreversible ways. I will append though, as a little side note, that accepting the whole picture will require a tiny bit of suspension of disbelief as its scale is... quite dramatic. Nevertheless, by the time I came to those reveals I was already so deep in the story it hardly mattered at all. Penn and Serenity are quite likeable as the leaders of our gargantuan investigation, and even though we don't actually see Tom in most of the scenes, his presence can almost always be felt throughout the book, for after all, the great case that will reveal all does revolve around him. There is one aspect in regards to the characters which I found to be slightly weaker than in the previous books, and it's the villains themselves. They don't always feel particularly threatening, their demises feel almost normal, and it seems that overall less focus was placed on fleshing them out. Ultimately this isn't much of a problem as there are a million other elements to hold your interest at any given time. With all being said and done, Mississippi Blood is a worthy conclusion to the Natchez Burning trilogy by Greg Iles. A solid investigative mystery anchored in the rich and eye-opening history of the Deep South, it succeeds with flying colours at being what you'd refer to as a “page-turner”. Anyone who read the previous books in the series or simply enjoys mystery novels in this particular setting should definitely check this book out. 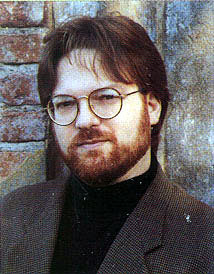 Greg Iles is an American novelist who was born in Germany and was raised in Natchez, Mississippi, which is where many of his novels take place. Before becoming a novelist and publishing his first work, Spandau Phoenix (which eventually became a New York Bestseller), Iles was a singer, songwriter and guitarist.